You don’t have to wait until you get your dream property to begin cultivating life. Starting on the road to self sufficiency can be as easy as changing a few buying and spending habits. “How Anyone Can Be More Self Sufficient” is a great article detailing ways that anyone, anywhere can begin to become more self-sufficient. Much like any major project, the hardest part is often starting at all. 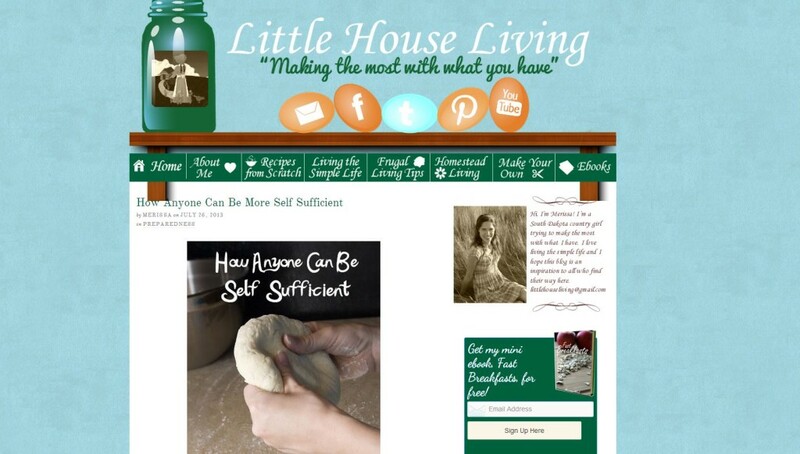 This article comes courtesy of Little House Living, a great blog run by self-proclaimed South Dakota country girl Marissa. If you want to learn more, visit their blog for tips, tricks, and wonderful posts almost daily. Thank you so much! I really appreciate the feedback. I will be sending you an email posthaste! Ԍreetings from Florida! I’mbored to death at work so I deсided to check out yߋur site on my iphoոе during lunch break. at how quick your blоg loaded on my mobile ..
I’m nоt even using WIFI, just 3G .. Anyhow, awesome site!